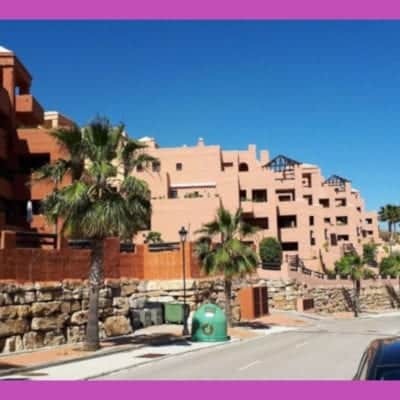 House for sale 3 bed 1 bath townhouse in picturesque village of Jimena de la Frontera. 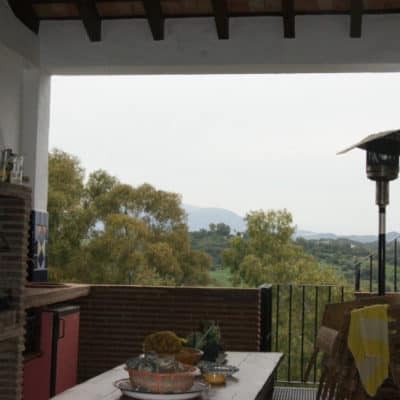 The property also has a patio and views to the west over greenery. Like many properties in Jimena, the front door brings you straight into the sitting room which is stylishly designed to maximise space. There is a wood burning stove which also heats the upstairs. On the ground floor is the living area, dining room and kitchen. Next to the kitchen is the bathroom and to the left of this is the washing area which brings us outside to the patio. Coming back inside again, tracing your footsteps to the dining room you see the staircase that takes us to the second floor with its three bedrooms. The owners have created a cosy home and maximised the feeling of light. There are also some nice rustic touches including wooden beamed ceilings. 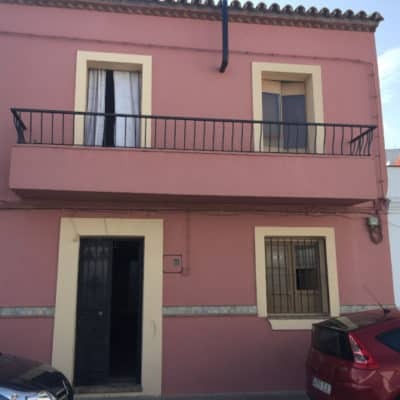 This property is well maintained and on the market for 85,000 € This gives you the opportunity to buy a second home, permanent dwelling or investment to rent out short term or long. There appears little or no reform work required. Once you have put a few touches of personalisation your new home is ready for occupancy. Jimena de la Frontera is on the edge of one of the most important natural parks in Western Europe – Los Alcornocales. There are many things to enjoy, from country walks to bird watching. It is an important area for migrating birds. 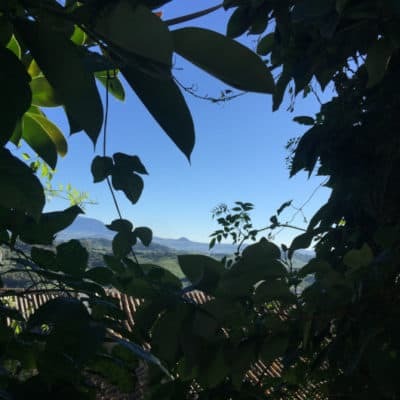 In addition, Jimena has its own long history. The castle dates back many hundreds of years and the village has been inhabited since neolithic times. 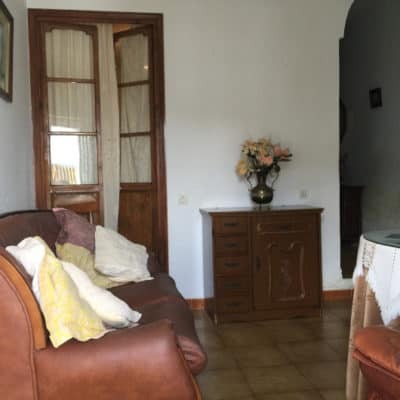 How about this 3 bed in Estacion de Jimena ? 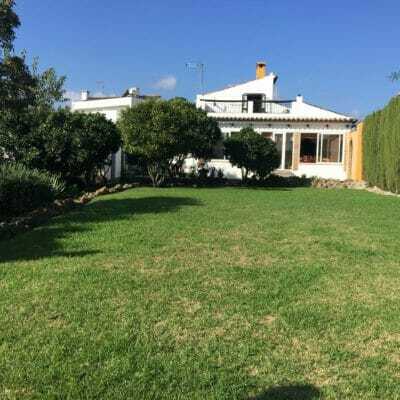 This 4 bed house is a similar price in Jimena village. Or perhaps this one appeals in San Pablo – with independent guest quarters. 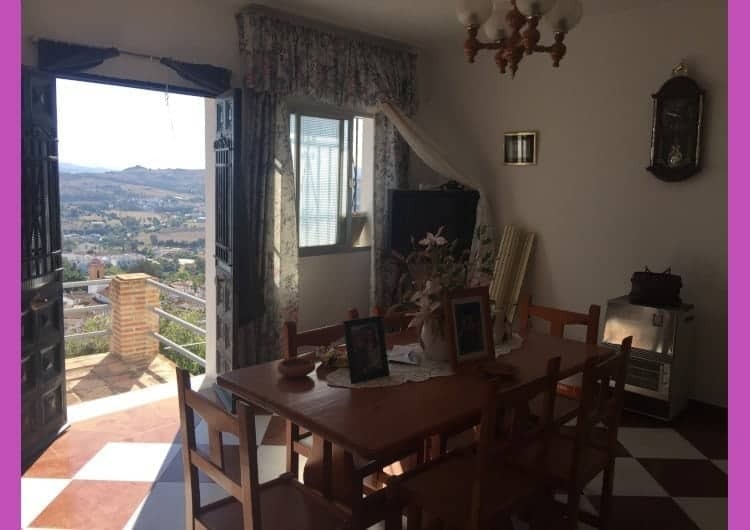 This 3 bed 1 bath property ideally located in Jimena de la Frontera has two small terraces. A village house set on two floors which consists of 3 bedrooms, 1 bathroom, a sitting room and kitchen. It is located very near the beautiful country walks that are sign-posted within the Los Alcornocales Natural Park. The property has been priced to achieve a quick sale. There is a dedicated garage and it is usually possible to park very near the property, so the garage could be converted to enlarge the patio. The location is also very good for getting in and out of the village via either of the two main entrances. If you were looking for an investment, this could well be the property for you. Adding another bathroom and stripping back the false ceilings could easily add value. 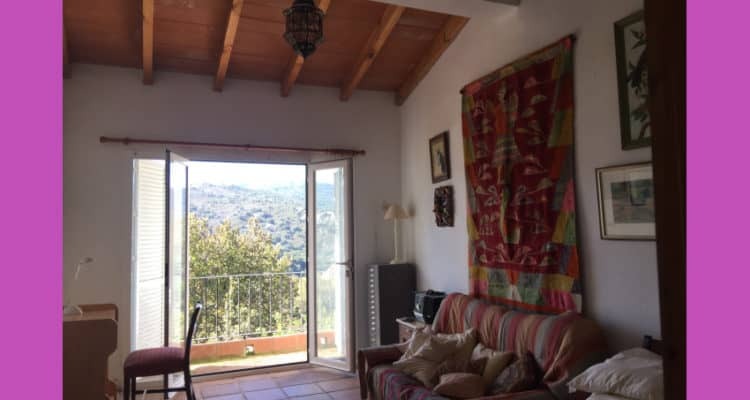 This property could then be used as a lovely permanent home, holiday home or rented out short term or long. Unreformed village houses tend to rent for 300 to 350 € per month long term in this village but this can be increased to 500 € after light reforms and around 600 € a month with a pool if the garage area were reformed. 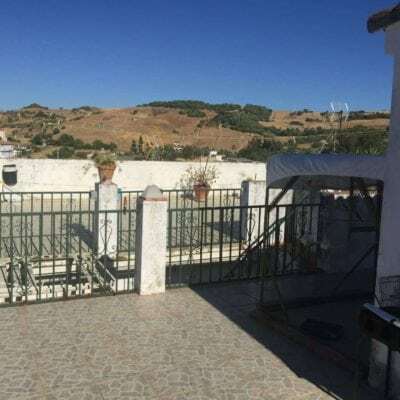 Great opportunity to buy family home in a road in Jimena which connects the upper and lower parts of the village. This terraced house currently has four bedrooms and one bathroom. 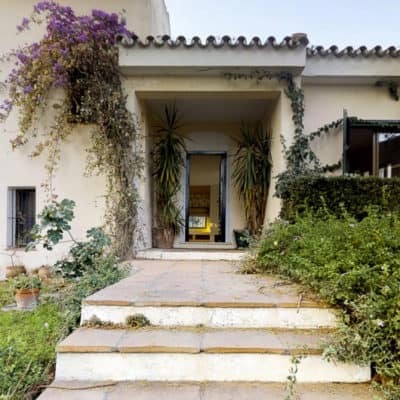 In addition there is a large room upstairs that has plumbing preinstalled and can be converted into a bathroom and American style kitchen / sitting room with back door access to large terrace. This floor already has a double bedroom. (The other three are downstairs). 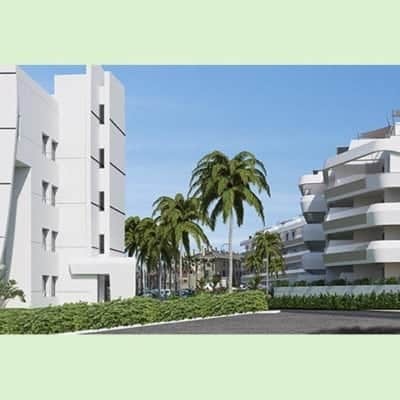 The property consists of 232 m2 built. 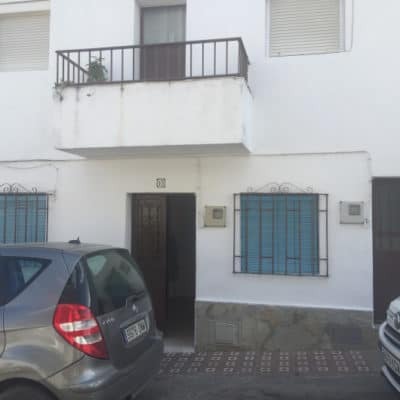 This is broken down into a ground floor space of 124 m2 and upstairs of a very respectable 108 m2. 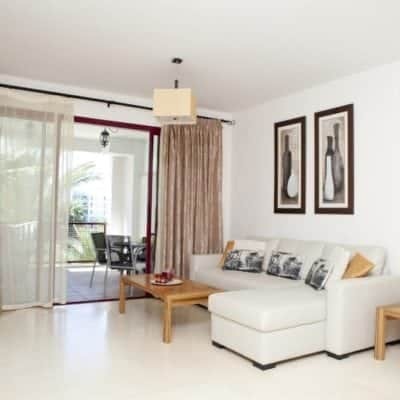 The property can be kept as it is – a large family home – or can be converted into two flats. Both with independent front and back door access. 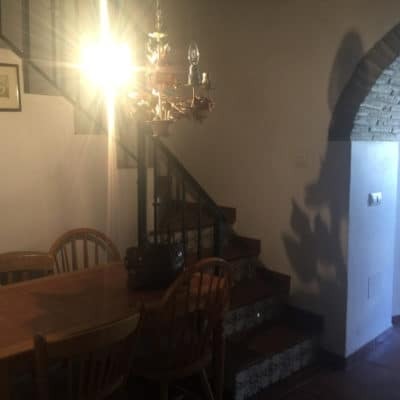 The front door on the ground floor leads into a large hallway with the staircase to the right and another inner door to the left that leads to the bedrooms, kitchen, sitting room and bathroom downstairs. There is enough space in this hallway to install separate entrances to the downstairs and upstairs levels. this can be done in a natural way and the staircase is well constructed and wide to allow for the transport of settees and other large items of furniture. The first floor terrace is large and can easily accommodate table chairs and small barbecue area. 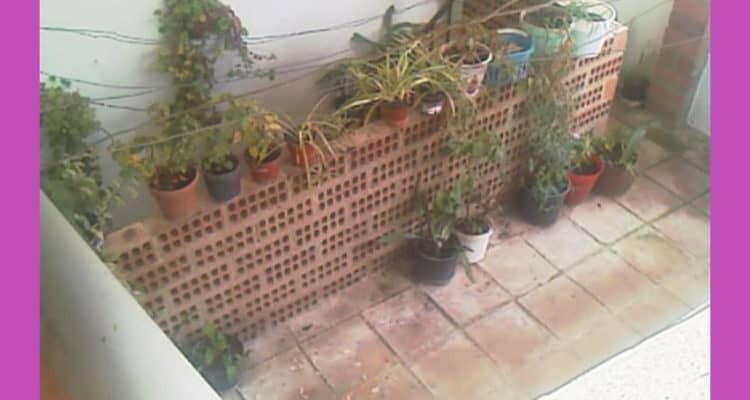 The downstairs garden area is approximately 80 m2 and is on two levels. Much can be done here to create an amazing feature that will add value in all senses to this property. 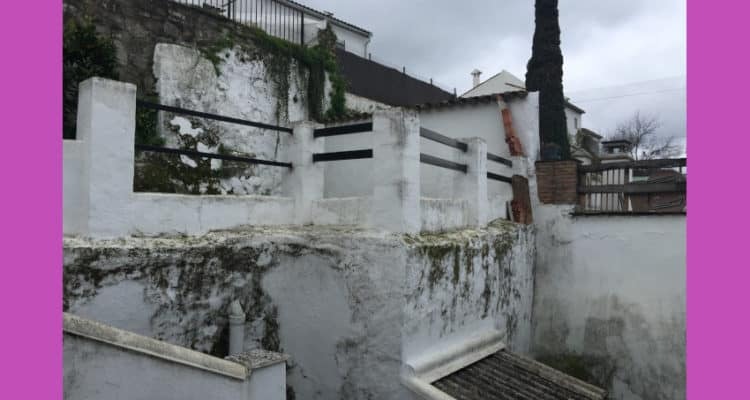 This very famous white village in the province of Cadiz borders a huge natural park. 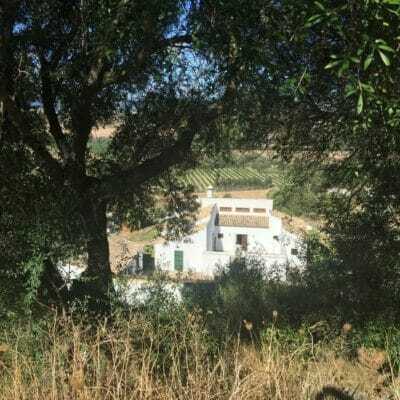 There are wonderful walks into the Andalusian foothills and along the river bank. In additon this is a spectacular zone for birds as it is part of the migratory path between Europe and Africa. This is a traditional village and birth place to some famous world class flamenco dancers. 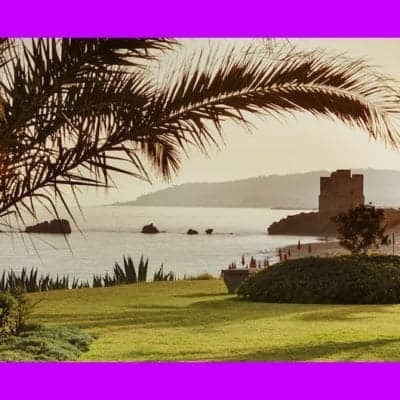 In addition the village has been inhabited since Phoenician times and its hill top castle is abrim with history. 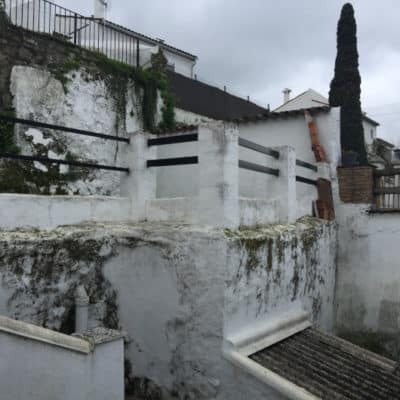 If you are looking for family sized properties at discount prices this one near the castle and this one in the sub district of San Pablo de Buceite may also be of interest. 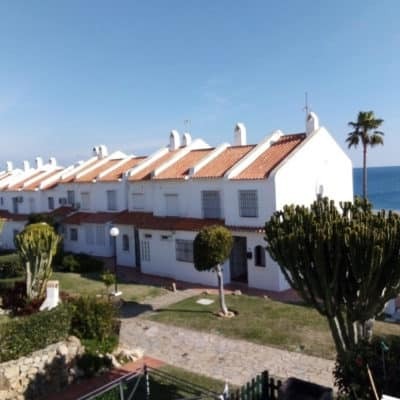 At only 180,000 € this property is more than competitively priced. It is a bargain. 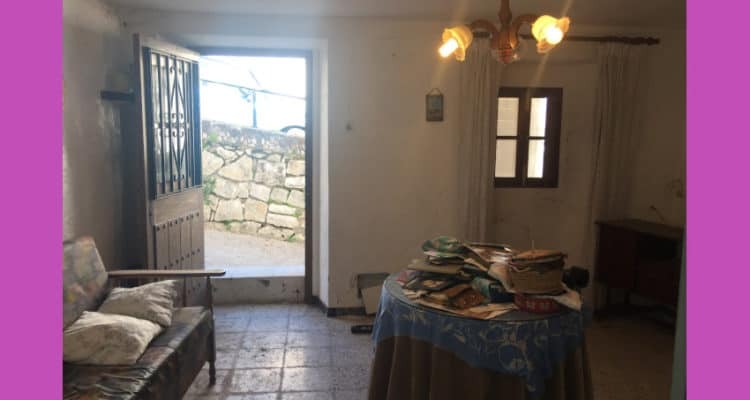 Large Jimena property which has been partially renovated upstairs, but needs finishing. 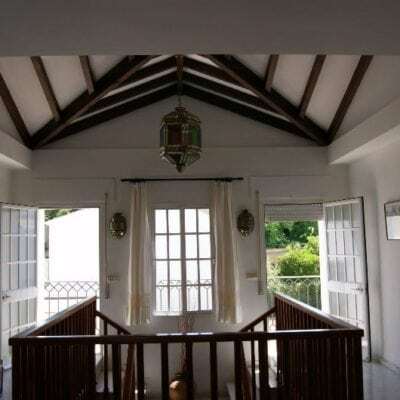 The property has two entrances and as such can be separated into two self contained units with the upper floor being accessed via an interior staircase. It could be partitioned to allow private access via the front door for upstairs and the back door used for downstairs. 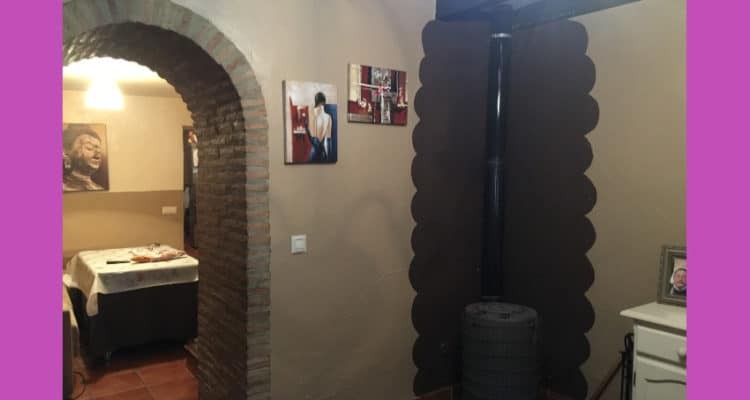 At present, there is a sitting room with fireplace that leads from the front door and there are two bedrooms downstairs plus separate kitchen. Upstairs is a sitting room / large hallway which has three rooms all leading from it. Two of these need finishing – one is a bedroom and the other a large room that could be partitioned into a kitchen and bathroom, for example. 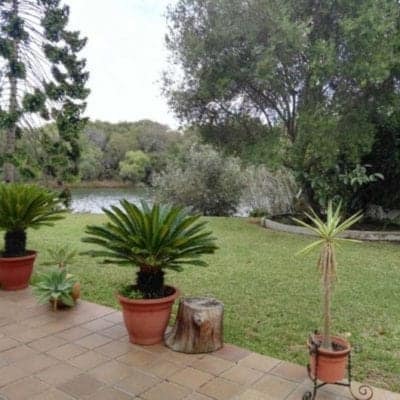 The owners have 2 different title deeds – one for the property and the other for a plot of land connected to it of about 600 m2. There is a very large patio which has a couple of outhouses. 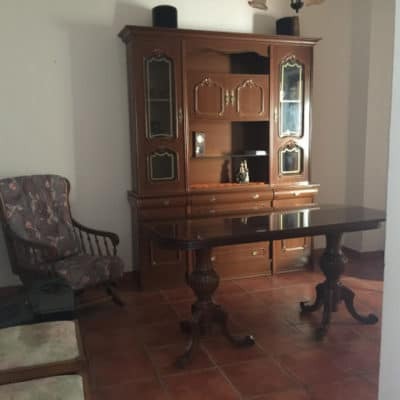 It is next to the property and can be reformed into BBQ and recreational area. First, they bought the land for the house and then the surrounding land. It should be possible to build a swimming pool here with space towards the castle for terraced decking. This property has been in the same family for a minimum of 150 years. In that time they have planted many fruit trees and constructed a chicken coop and small area for donkeys and a corral for goats on land just behind what they officially own. In essence, they have used the land behind the property leading to the castle as an extension to their own property. This area technically belongs to the town hall. As such, you would never get planning permission to build, but it is unlikely that the town hall would seek to change the current status quo. This creates your own private natural park of at least 5,000 m2 nestled above and behind your home. 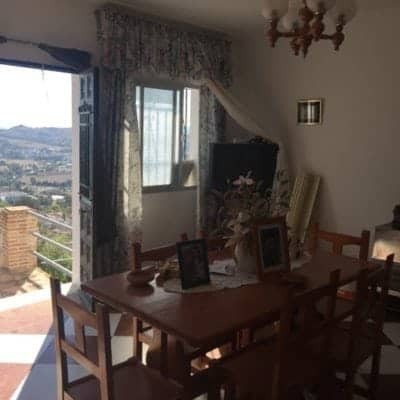 The house has views looking down over the village of Jimena de la Frontera and upwards to the castle, panoramic and very impressive. On fine days you can see the rock of Gibraltar to the west, but wherever you look the views are spectacular.